In the early 70s Anthony Moore was exploring different avant garde musical techniques, working in Uwe Nettlebeck’s studio in Wümme. Anthony recorded and released two experimental albums Reed, Whistle and Sticks and Pieces from the Cloudland Ballroom on Polydor. As he was approaching his third album, Polydor had lost their patience with his highly experimental and unmarketable albums. So Nettlebeck suggested that Anthony write and record an album of “straight” songs. One thing led to another and Anthony convinced his old school friend Peter Blegvad to come to Hamburg to form the band Slapp Happy with Anthony and his girl friend Dagmar Krause. The three of them entered the studio and recorded Sort Of with Faust as the backing band. It is not clear to me why Tapete has chosen to reissue this album, they offer no explanation. I own a copy of the 1999 Voiceprint reissue. And as far as I can tell, the Voiceprint and Tapete reissues are identical, including the same bonus track. So if you already own a copy of an earlier reissue, there is no need to invest in this latest version, unless you are a collector wanting a copy from each label. Now, if you have not heard Sort Of and are leery about the music given Dagmar’s vocal performances on releases such as In Praise of Learning, do not be put off. Sort Of is a collection of 13 songs with the vocal duties about evenly split between Anthony, Dagmar, and Peter. And Dagmar’s voice is quite pleasant and mellow throughout. The music is quite enjoyable even with the band’s twist on the current musical styles of time. Anthony wrote some straight up rock and roll songs, several country rock inspired tunes, a couple of cabaret tunes predating the popularity of Steam Punk, and some pop-psych. 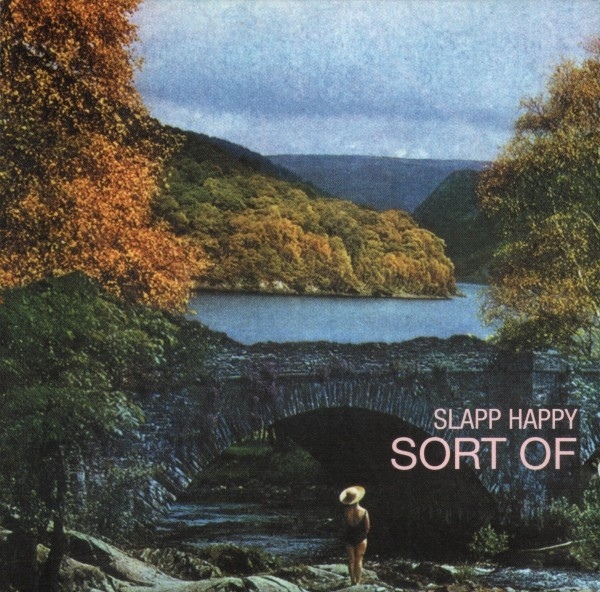 Also of note is the funky beat on “Mono Plane” and the avant rock Asian hybrid of “Heading for Kyoto.” Worhty of investigation if you do not already own a copy or unfamiliar with Slapp Happy's early work.